1. Swimming supports our health, boosts our immune system - The water temperature, which is in all cases of swimming training, lower than the average body temperature of humans which should be 36 to 37 degrees Celsius. The difference in temperature loads the work rate of the cardio-vascular system. With the ability to adapt to those temperatures, We achieve a solid resistance to diseases, like flu and colds. It also influences our breathing (the colder the water the harder the breathing), which is a health benefit especially for patients (or swimmers) with asthma problems. 2. Improve Breathing -The water pressure, which is exerted onto the human body (skin) increases with greater depth of the water.This effect will influence the blood circulation through the human body and improve one's breathing as this pressure concerns the lungs. 5. It's part of the physical education and water safety - In schools swimming is a part of curriculum. Everyone who wants to Scuba Dive or do White Water Rafting has to be able to swim. 6. It's a social sport - we can swim with friends or family enjoy the water and bond with your friends and love ones. 7. 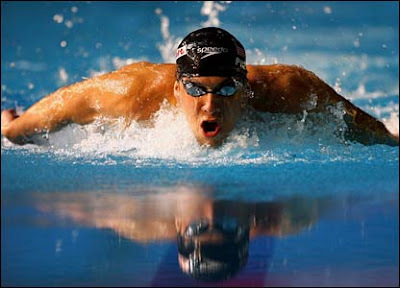 Swimming is a full body exercise - It tones our entire muscle spectrum and it works as our fitness. 8. Job requirement - Some jobs require the know-how to swim. 9. Low risk of injuries - It is a sport where, if we are a beginner or an expert, there is very little risk of injuries. 11. It's a substitute to other sports - especially to running as it trains one's upper body. 12. It's a competitive sport - Master's, Open Water, Triathlon. I love your health tips! ha! i knew it.. this is why i quit going to the gym.. i swim instead esp. these days which is very HOT in the Philippines.. whew! That's why swimming is my favourite sport! This is great information. I am able to use this site with my special needs class. yeah its fun as a sport too.